MBPC has a special focus on state-tribal policy to promote sound fiscal and budget policy that can help reverse the history of economic injustice that has led many American Indians to unacceptable levels of poverty, unemployment, and poor health. 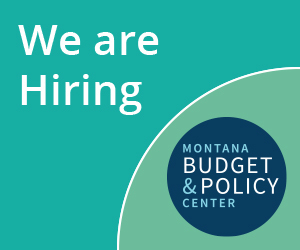 Our work aims to inform policymakers on how state tax and budget choices affect Indian Country, and to increase the involvement of American Indian leaders in state budget advocacy. To ensure that the state is making wise investments in tribal communities, MBPC believes that tribal leaders and community members must be involved in the state budgeting process. When American Indians engage in debates on how to invest state funds, legislators can better understand the unique needs of Indian Country. To this end, MBPC works closely with tribal governments, tribal-led organizations, advocacy groups, community members, and educators to assess tribal needs and develop policy proposals. To further help inform our research on an ongoing basis, MBPC formed a State-Tribal Advisory Council in 2013. S-TAC members, who represent a broad range of demographics including both urban- and reservation-residing Indians, identify important issues in their area of Indian Country. Researching and analyzing policy proposals impacting Indian Country and disseminating this information in succinct, easy-to-understand reports. Educating elected officials and agency leaders about tribal sovereignty and the history of Indian affairs. Informing tribal leaders about available state-funded programs and opportunities. Hosting a State-Tribal Legislative Summit prior to the start of each legislative session to inform participants on how to get a seat at the decision-making table. Developing a State Budget Handbook for Indian Country detailing how the budget process works, how to get involved, how to lobby, and how to track the budget and individual bills. Advocating the legislature to pass legislation to support reservation economic development, tourism, tribal colleges, Native language preservation, and community and individual health, including suicide prevention. You can get a deeper understanding of our work and policy recommendations by browsing our recent reports.